Morpheme Garcinia Triphala contains pure herbs. 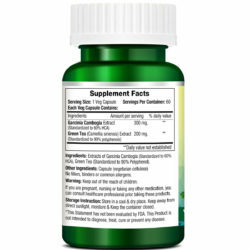 This product is manufactured using high quality herbal ingredients. Each Morpheme Garcinia-Triphala capsule contains contaminant free pure herbal extract. Free from synthetic ingredients, fillers, additives binders, food allergens and gluten, this product is processed in GMP certified facilities in compliance with the strict quality control guidelines. 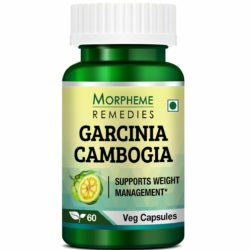 Morpheme Garcinia Triphala is a legendary blend of Garcinia cambogia and Triphala extracts.This product enhances your wellbeing, when taken in conjunction with proper diet and exercise program. Garcinia Triphala is formulated using the ancient wisdom of Ayurvedic science, which emphasizes on balancing the whole system on a number of levels at once. The formula supports our system in a holistic way. It has been noticed that with years of poor eating habits, individuals develop congested systems, which requires re-tuning internally. Generally, the crash diets are risky and notorious. The results produced are only temporary and they are detrimental to the health as well. The basic cause of overweight/obesity is imbalance in our diet, which is caused due to intake of excess calories. The worst part is when these excessive calories provide insufficient levels of vital. 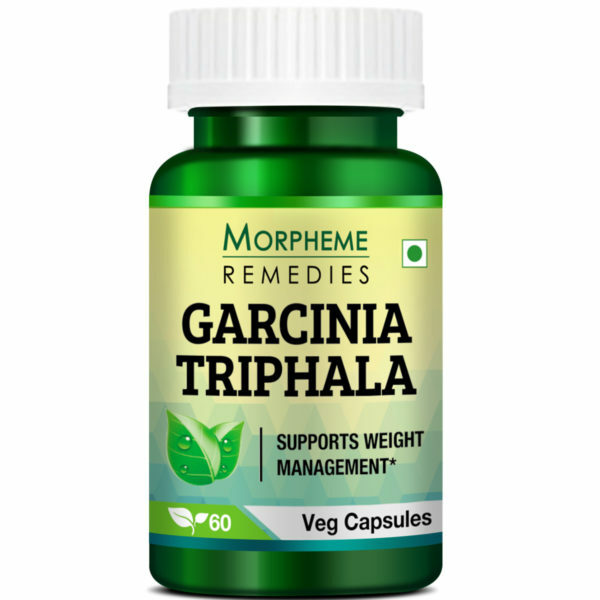 Garicina-Triphala is the only product that had helped me in losing weight. I had tried various remedies, but either they failed or produced side effects that forced me to avoid them after a few days. This is the only product that had worked without causing any harmful reaction. 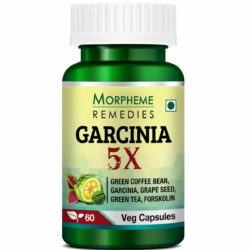 The Garcinia-Triphala preparation has helped me in losing my body fat. It has reduced my food cravings. Now I feel full and satisfied after eating normal amount of food. It has also improved digestion and reduced my waistline. The Garcinia and Triphala combination is great for controlling appetite and stimulating fat burning. This supplement has worked for me. In addition, it has provided relief from constipation. Effective product for aiding weight loss. It has helped in curbing my hunger pangs and has restored normal appetite. I have also lost significant amount of belly fat. This supplement has helped in reducing my food cravings. It has also helped in maintaining regularity in bowel movement. After taking this product I have lost significant amount of abdominal fat. This is a safe weight loss product. It has helped in reducing my abdominal girth without causing any adverse side effect. It has also saved me from frequent hunger pangs. This product worked best in colon cleansing and digestion issues. It seems to have helped in reducing hunger. To lose weight, you must prepare your body for workouts and the low calorie diet regimen. This is where weight loss supplements such as Garcinia Triphala fit into the weight loss program. I am impressed with this supplement. It has helped in colon cleansing, suppressing appetite and increasing the energy level. This is indeed a reliable dietary supplement for weight loss. It helped in making me less hungry. I am seeing my waistline gradually shrinking after I started taking this supplement. This product is helping in shrinking my midriff. I am feeling less hungry and more energetic after taking it. I have combined the supplement with diet and exercises. This product is helping me in dieting. 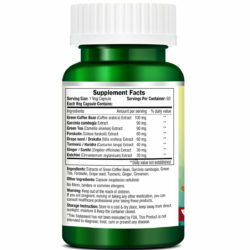 It is working as an appetite suppressant without causing any side effect. I am feeling energetic, healthy and losing weight. I needed to lose 10 kilos and desperately needed a dietary supplement that would help me. 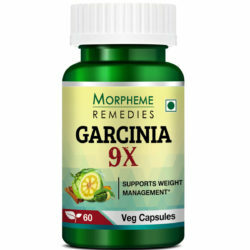 I am on this Garcinia-Triphala product for a month. I am feeling less hungry. My digestion has improved. And I lost a little weight. This product helps in weight management when you eat the right type of food and exercise daily. I found it helpful in curbing hunger and helps in boosting metabolism and improving digestion. A good product for weight management. Helps in curbing hunger and burning belly fat. This product is helping in getting rid of the belly fat. It am following my regular workout routine, which has become more effective after I started taking this product. It has also been good for my digestion. This product is helping in reducing my waist circumference. It has also helped in reducing my digestion problems. A useful product for weight Management. It helped in controlling appetite. This product helped in curbing overeating. My weight manage is now a little faster. 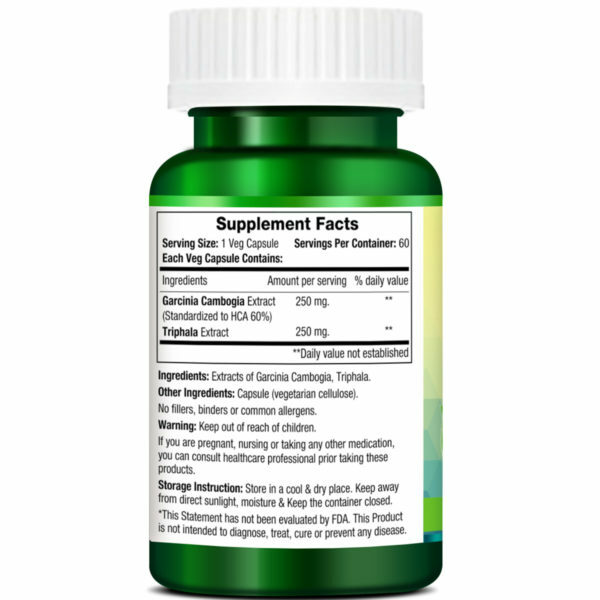 This supplement has been very effective in restoring normal appetite, improving digestion and colon cleansing and breaking down the body fats. It has helped in healthy weight loss. This product has been effective in controlling appetite. It has been good for my digestion. Losing weight fast after taking this. I am on this product for 8 weeks. It has helped in restoring normal appetite and has helped in improving colon cleansing and digestion. This supplement eases weight loss. It helped in curbing hunger and improved colon cleansing and digestion. This product has helped in restoring normal appetite and faster weight loss. I feel less hungry and more energetic. This is a wonderful product for controlling cravings and improving digestion. I’m losing weight fast after taking this product. A good supplement for healthy weight loss. It is helping in breaking down the body fats including the stubborn abdominal fat. Weight loss has become faster and easier after taking this supplement. It has been good for my digestive health. This supplement has been good for my appetite. It helped in relieving overeating and improved digestion and colon cleansing. It helped ease weight loss. This product is helping in burning fats. I found this especially helpful in reducing the belly fat. It has helped boost effectiveness of diet and exercise. This product helped in curbing excess hunger and digestion problems. I feel energetic. With diet and exercise, it’s supporting weight loss. This supplement has helped in stopping my unhealthy eating habit. It helped in reducing excessive hunger and eased digestion. With dieting and exercises, it is helping in healthy weight loss. Without controlling appetite its hard to lose weight. This is the reason I took this supplement. It has helped in suppressing appetite. 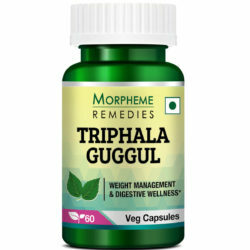 It contains Triphala that according to studies is known to help in shrinking belly fats. A good product. This product helped in restoring normal appetite and reduced excess hunger. It improved digestion and eased fat burning. This is helping in controlling excess hunger. It’s positive effect on metabolism and digestion is assisting in weight management with diet and exercise. This product has been more effective in controlling appetite and improving digestion. This helps in weight loss. This is helping in maintaining normal appetite. It helped curb overeating. This supplement helped in restoring normal appetite and reduced overeating. I feel energetic and am losing weight. I’m also dieting and exercising and this product is helping. This product is helping in controlling appetite and boosted my energy level. It has made it easy for me to follow my weight loss diet and exercise daily. This product is good for the appetite. It helped me overcome overeating and improved digestion. It seems to have helped in boosting metabolism. An excellent product for weight management. It helped in controlling appetite and improved digestion. Feeling more energetic. This supplement has helped re-energize me for weight loss. It has helped in improving digestion and curbed overeating. Controlling hunger is essential for weight loss. I wanted to try a product that is safe and effective. After carefully studying the ingredients list I selected this product. It helped curb excess hunger and was good for my digestive health. This product is supporting weight loss. It has been good for my appetite, helped suppress excess hunger and improved digestion. This supplement helped curb excess hunger. I feel healthier and energetic after taking it. It is supporting healthy weight loss. This product helped curb excessive hunger. There was no side effect. It helped minimize digestion problems. Getting rid of the excess fats from my body has become easier after taking this product. This is good for controlling appetite. Eases weight loss. Controlling hunger is a major obstacle in weight loss. This product helps in reducing excess hunger and improves digestion that is helping in getting rid of the excess weight when combined with exercises. This product helps in controlling appetite. I feel energetic and healthy after taking it. Losing fats at a faster speed with diet and exercise after taking this product. After taking this product for a week, I’m feeling less hungry. Digestion has improved and feeling a little more energetic. This garcinia and triphala combination helped restore normal appetite. It helped in curbing excess hunger and cravings that were making me overeat. This product helped ease dieting. It suppresses appetite and helps in detoxification. By suppressing appetite and improving digestion, this supplement is helping me stay on my weight loss track. This product helped curb overeating. It helped reduce digestion problems. I feel energetic after taking this product. It is assisting me in losing weight. This is very good for suppressing appetite. This product is working with diet and exercise and helping me in attaining my weight loss goal. A good product for managing appetite and maintaining healthy digestion. It is helping me in weight management. This product is good for curbing appetite and reducing digestion problems. An effective appetite suppressant. It is helping me in eating less. It helped reduce digestion issues. This product helped provide relief from excess hunger and digestion issues. It assists in healthy weight loss. The garcinia-triphala blend is good for appetite. It is helping me in eating right and has improved digestion. This product helped speed up weight loss. Good for reducing overeating and unhealthy food cravings. This supplement helped in reducing appetite without any adverse side effect. Helped reduce digestion problems. Assisting in weight loss. This works on appetite. Helped reduce overeating and food cravings. Good for digestion and maintaining metabolism for healthy weight loss. This product is very helpful for suppressing excess hunger and good for the health of the digestive system. I’m taking this for a month and impressed with the result. Directions: 1 Capsule twice daily before meals. 1. I have a medical condition. Is it safe to take Morpheme Garcinia-Triphala herbal ayurvedic supplement? The company is in the business, as they are genuinely concerned about people’s health. Anybody with a medical problem must consult a healthcare professional before taking the supplement. 2. How the ‘serving size’, recommended dose’ or ‘suggested use’ that are mentioned on the labels of the products determined? The product is researched cautiously by the research and product development team in order to determine, the quantity of product that can be used safely and effectively. It is important to go through the label in detail to identify the correct usage information. In case, you have concern about the dosage or serving size then you need to check with the physician before using the supplement. 3. I am allergic to different things, how to find out if the supplement is hypoallergenic? Specific components included in the product are generally mentioned on the label. This will help you make an assessment about the product’s suitability for any specific allergic condition.